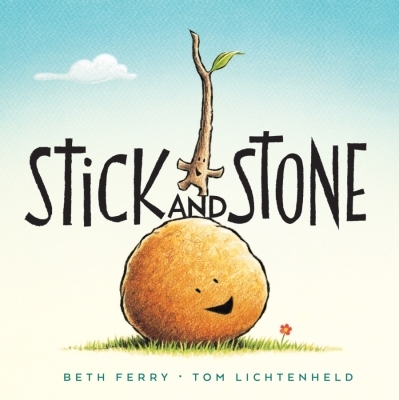 Stick and Stone is a short, rhyming story about friendship. 2) What inspired you to write this book? Did it take you long to translate your idea into words and subsequently into a book? A song by the band Train, called “Drops of Jupiter” was the inspiration behind Stick and Stone. There is a line in the song about friends sticking up for one another and that sparked the idea of a stick sticking up for a friend, namely, a stone. Friendship is a common theme in picture books, but an important one. I began writing the story in prose and wasn’t having much success. When I switched to rhyme, the story developed quickly. 3) Why did you pick this genre and how did you come to be a writer? I chose to write picture books because of their beauty and importance to the youngest of readers. I also think picture books transcend age ranges and can speak to people of every age. I love the bond they offer parent and child. I’ve always loved to write, but I became a write in 2011 when I challenged myself to write a picture book that was under 200 words. That was the genesis for Stick and Stone. Well, the illustrations of Stick and Stone are phenomenal!! Tom Lichtenheld created characters are that sweet and cuddly and utterly perfect – quite an achievement for a stick and a stone. His illustration process shows the extreme care and time he put into making the illustrations a perfect match for the text. I couldn’t be happier! The picture books I remember loving the most are Maurice Sendak’s Nutshell Library. As a child I adored miniatures and so this tiny set of books was right up my alley. I had every story memorized. I also loved Miriam Young’s Miss Suzy. I think the dollhouse aspect also appealed to my love of miniatures. As I grew up, I read all the classics – Nancy Drew, Little House on the Prairie, Anne of Green Gables and A Wrinkle in Time. 6) What is the most fulfilling thing about being an author? Do you have any words of wisdom for aspiring children’s authors? Having a child tell me they love my book are some of the sweetest words I’ve heard. It floors me every time. Interacting with children at schools and bookstores is the most fulfilling aspect of being a children’s book author. The kids themselves are the best reward for being a picture book author. There are so many wonderful blogs that give advice to kidlit writers. 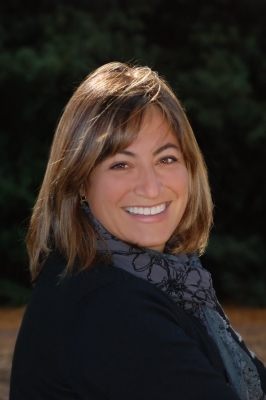 My advice is to join SCBWI, and to check out taralazar.com, kathyteam.wordpress.com, and lauriewallmark.blogspot.com. Also, to write, write and then write some more. Don’t give up. This business requires a supreme amount of patience. 7) What do you hope children will take away with them after reading your book? What do your children think of it? I hope they will see how good friendships require a bit of effort and that friends help each other – it’s not a one-way street. I hope they also see that we all might act like Pinecone now and again, but it’s important to forgive those prickly characters in our lives. My children are all teenagers, but happily, they love the book. There’s nothing better than overhearing them tell their friends that their mom wrote a book. 8) What are you working on now? We wait with great anticipation! My next book, Land Shark, is being released on August 4, 2015. As I’m waiting for that, I’m working on a few stories involving a scarecrow and an alligator, but not in the same story. Although that might be interesting . . . Thanks for asking! Should you wish to know more about Beth Ferry and would like to purchase her book, here are all her pertinent details.